I am already starting to see how the UWC has changed me although I only graduated from UWC Red Cross Nordic a year ago. Two years in that unique little world made from multiculturalism and idealistic inspiration, placed among high mountains and peaceful fjords has, I think, brought about an enormous enhancement of my personality. I went back to Sweden after graduation to gain some experience of ‘real life’. During the fall of 2015 Sweden became a very interesting place to be due to the European refugee crisis. 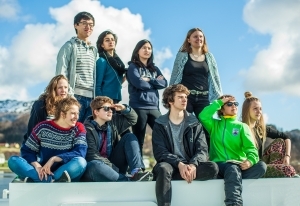 What I learned at UWC helped me a lot in everything I was doing. 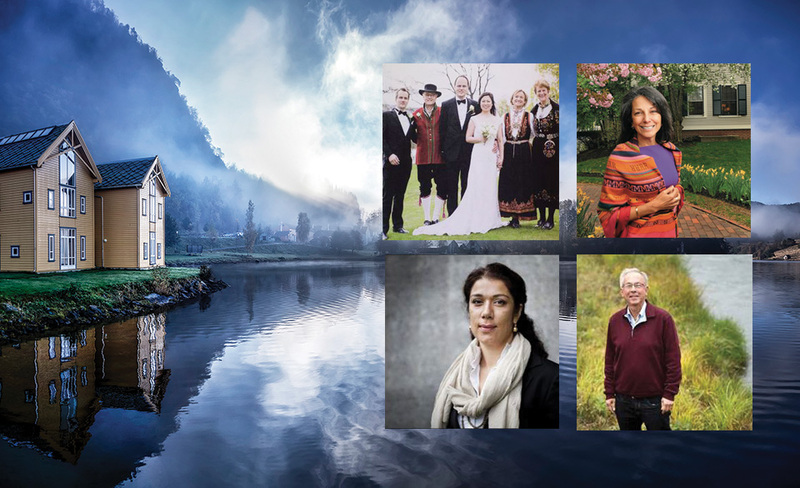 I know that the people who come to Sweden are not just refugees, they are people with different stories, knowledge, languages, experiences and cultures – just like my beloved co-years at RCN. I cherish every opportunity to learn from, and help, these people. 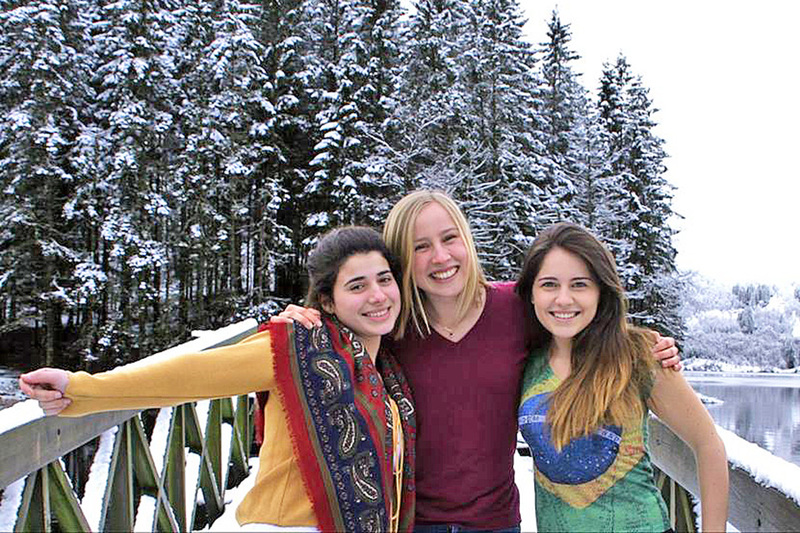 At UWC I also realized the importance of communicating and believing in one’s ideas. Therefore, I decided to set up a school for the refugees who have not yet received their residence permits (and hence, are not permitted to start the compulsory Swedish courses). So I was teaching Swedish to about a hundred adults. Many Swedish people asked me how it was that I, a 20 year-old without a degree in education, could initiate and carry out such a project on my own. My answer was the UWC experience, which taught me the real meaning of equality between humans, the beauty of cultural and ethnic diversity and the skill to believe in myself and my ideas. My plans for the future include more than humanitarian work, however. In the spring of 2016 I will be going to Ecuador, where I will teach English in a village school for three months. I look forward to the voluntary work, but also to the opportunity of throwing myself into a culture (and language!) that is brand new to me. In the fall of 2016 I will enrol at the College of the Atlantic in Maine USA, where I will study human ecology with a focus on environmental science. I have been interested in environmental science for a long time and my time at RCN made me even more keen to go into this direction. Environmental issues and injustice exist in the background of most global conflicts and it is becoming more urgent every day. I believe the international understanding and leadership skills I gained at RCN will help me to better understand and work with environmental issues worldwide. Jan Björkman is a social democratic politician from Sweden. He was Member of the Swedish Parliament from 1988 to 2010, representing the County of Blekinge. For most of these years, Jan was a central member of the Education Committee. From 2006 to 2010, he was First Vice Speaker of the Swedish Parliament. He has been a member of the UWC RCN’s Council from 2012 to 2016 and now takes up the position of Swedish representative on the College’s Board. With his deep knowledge of education politcs in Sweden and the Nordic region, Jan has much to offer our College. Laila Bokhari has been State Secretary for the Prime Minister of Norway since October 2013. Her portfolio includes foreign and security policy, justice and emergency preparedness. Laila is a political scientist and a researcher on political violence, terrorism and radicalization; she was a member of the 22 July Commission of Norway. She has held a diplomatic posting at the Royal Norwegian Embassy in Islamabad, Pakistan, Born in the UK of a Norwegian mother and Pakistani father, her childhood was spent between Norway, Pakistan and the UK. Laila and her brother also oversee the running of a school for girls in Pakistan – this school is something she cares deeply about and provides a strong link with one of her most valued causes, the global right to education. Teresita Alvares Bjelland: having been the President of the Harvard Alumni Association, Teresita has a unique experience when it comes to networking and alumni fundraising, a new strategic area for UWC RCN. Teresita has taken interest in our alumni at occasions such as Partnership for Change and knows the College well through interviewing our students who have applied to Harvard. She is currently a member of the Harvard Global Advisory Council. She has an international background (Cuba born and a naturalized US citizen) and has been based in Norway for 25 years – she has lived and worked in Spain, Denmark and England in addition to Norway and the US. She will bring much relevant competence and experience for our Council. Zhe Wang Gresvig is an alumna of UWC RCN and was raised in a SOS Children’s Village in China. She currently lives in London, working for Save the Children. Her husband Haakon is the son of Tom Gresvig, one of the founders of UWC RCN. With her skills, affinity to the College and the Gresvig heritage, Zhe will be a definite asset to our Council. It was a pleasure to welcome the members of Council and other guests from Thursday 14th to Saturday 16th April for the annual UWC RCN Council meeting here on campus. Our Council members continue to act as our supporters, our bridge-builders, and our voice across the Nordic region. 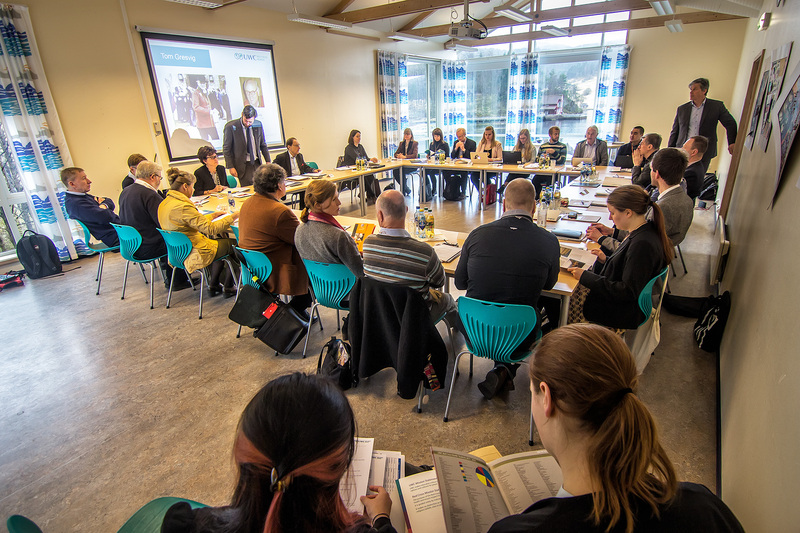 The Council gathers once a year on campus and the Board twice a term, alternating between College visits and other locations throughout the Nordic region. On Friday morning, the UWC RCN Annual Report – a printed encapsulation of our work and reflection on the year gone by – was released to coincide with the annual Council meeting. Please see here for access to an electronic copy. Beyond the formal Council meeting, we designed this year’s programme in a way that provided members with concrete opportunities to engage with students and staff, through careers workshops and focus groups on areas of strategic importance. For the latter, we set up some Action Plan Focus Groups (Academic, Extra-Academic, Pastoral, Management, Stewardship and Impact) on Friday afternoon – open to Council members, education and support staff and both the outgoing and the newly elected Student Councils – for discussion of certain areas identified by the Board. During the course of the Council Meeting, we were also able to confirm the election of new members of both the College’s Council and Board. Please see here for details of our new members. The Council Meeting was followed by a themed dinner, ‘Snow in Springtime’, which truly captured the time of the year, coordinated by our Events students and staff team, in the Høegh – with a set of performance by students performers for after dinner entertainment. 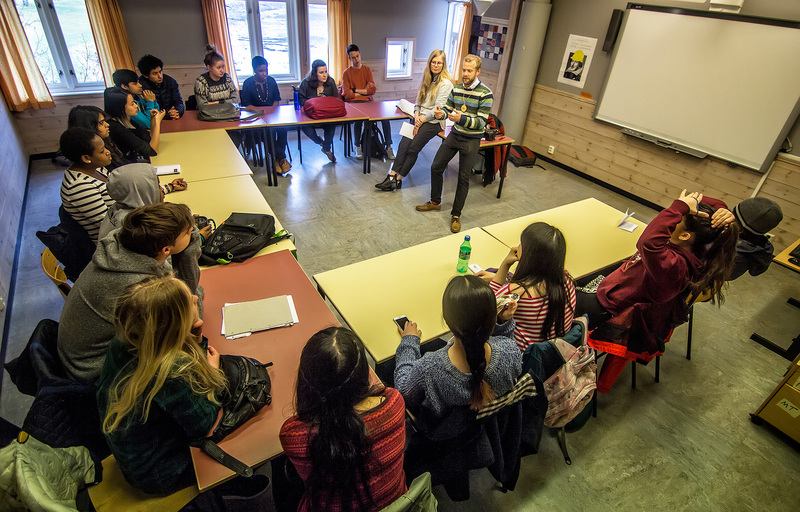 Here are some pictures of our visitors – in meetings, and leading workshops for the students. And here, with students, at the evening dinner in the Høegh Centre. 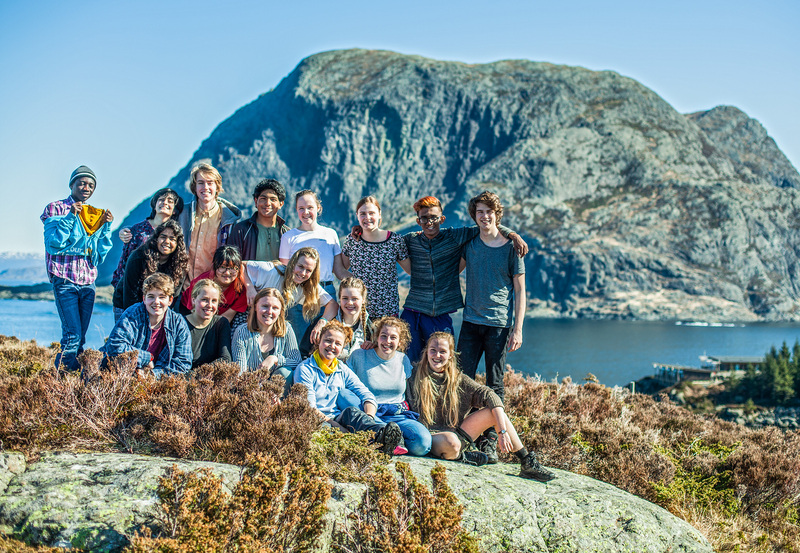 Last weekend, the outgoing RCN Student invited the incoming Student Council to a handover / training weekend on the island of Værlandet. This has become an excellent tradition in recent years at RCN – at this time last year, a highly successful ‘retreat’ was held at Heggnes (on the side of the Dalsfjord). Both Councils will be actively involved later this week in hosting our UWC RCN Council members and attending and participating in various workshops on careers beyond RCN and on the College’s strategic action plan. We would like to take this opportunity to thank our outgoing Student Council for their invaluable contribution over the course of the last academic year and to welcome the incoming team.